US Tamil FM Live Online . Listen Over 100 Tamil radio stations Online . 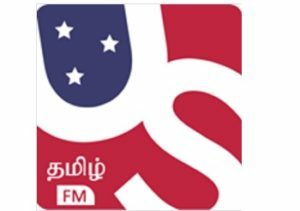 US Tamil FM is a 24 by 7 Tamil Radio Station solely created for the Tamilians across the United States. It broadcasts best and latest Tamil Hits, Hot Gossips of Kollywood, Interesting tips and DIY’s, enter Polls and contests . It brings you interesting showbiz updates to brighten your evenings and relax you after a stressful day. Available on all the time zones, PST, MST, CST, EST. Address : P.O Box 92722,Austin, TX – 78709.